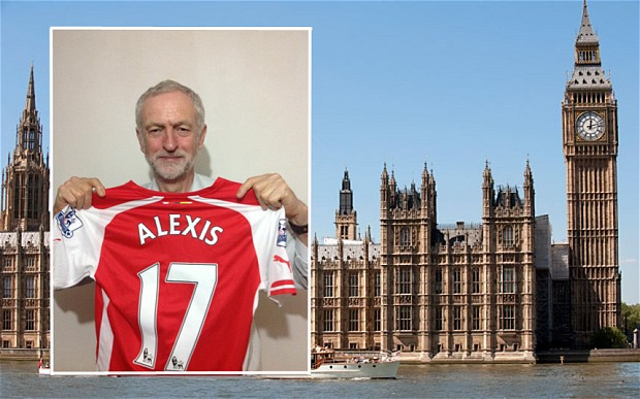 Gunners fans will love this from Labour leader hopeful! Jeremy Corbyn, Labour MP for Islington North and a candidate to become the party’s new leader, signed a motion in 2004 officially recognising Arsenal as the best team in the world! According to the Independent, the 66-year-old is a huge Gunners supporter, and signed a parliamentry motion to recognise the team as the best footballing side on the planet after their unbeaten season of 2003/04. That Arsenal side is certainly among the finest ever seen, though it’s fair to say they have not come close to matching that since then – even if Corbyn also sponsored a motion congratulating them on their FA Cup win in May. The veteran left-winger is currently looking the favourite to become new Labour leader, and knowing what Arsenal fans are like with polls, this news could be a big boost to his hopes!